VATICAN CITY (CNS) — Pope Francis will beatify a priest and a bishop martyred in Colombia when he visits the country in September, a Vatican spokesman said. In an email to Catholic News Service July 7, Vatican spokesman Greg Burke confirmed that Pope Francis will beatify Bishop Jesus Emilio Jaramillo Monsalve of Arauca and Father Pedro Ramirez Ramos. The beatification Mass will be at Catama field in Villavicencio Sept. 8, Burke said. At a meeting July 7 with Cardinal Angelo Amato, prefect of the Congregation for Saints’ Causes, the pope signed decrees acknowledging the martyrdom of Bishop Jaramillo, who was murdered by Colombian Marxist guerrillas in 1989. 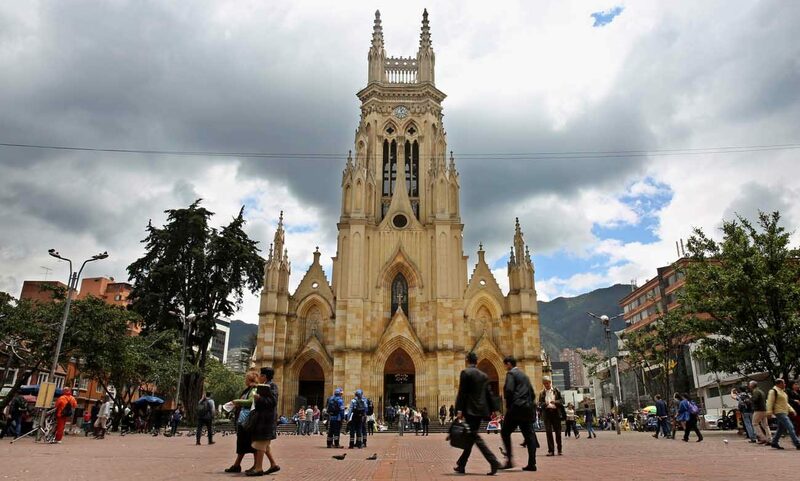 The Colombian bishop, along with a local priest, was kidnapped by members of the National Liberation Army, known by the Spanish acronym ELN, because of his criticism of the rebel group’s violent actions. Although his companion was freed, Bishop Jaramillo was shot twice in the head. His body was found by local peasants near the Venezuelan border. The pope also recognized the martyrdom of Father Ramirez, known as “the martyr of Armero,” who was killed at the start of the Colombian civil war in 1948. Pope Francis also recognized a miracle attributed to Anna Chrzanowska, a Polish laywoman who was an Oblate with the Ursuline Sisters of St. Benedict, clearing the way for her beatification. — Archbishop Ismael Perdomo of Bogota, Colombia, who died in 1950. — Louis Kosiba, a Polish laymen and professed member of the Order of Friars Minor, who died in 1939. — Sister Paola de Jesus Gil Cano, a Spanish nun and founder of the Franciscan Sisters of the Immaculate Conception. She died in 1913. — Sister Maria Elisabetta Mazza, an Italian nun and founder of the Congregation of the Little Apostles of the Christian School. — Sister Maria Crocifissa dell’Amore Divino, an Italian nun and founder of the Congregation of the Apostles of the Sacred Heart.